Document Notes: An interim report from Special Agent Gurnea who was touring the centers at the behest of the WRA. His final report was considered unhelpful by Dillon Meyer, WRA Director. 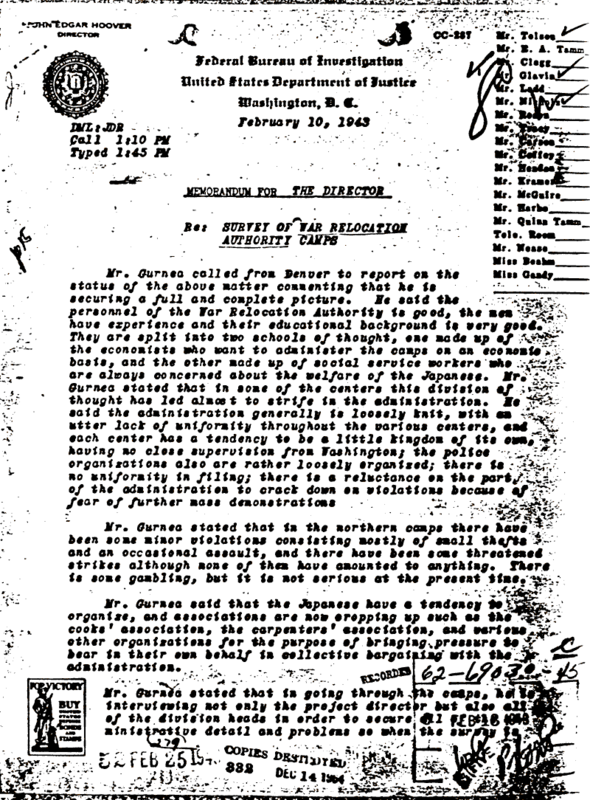 This candid repott to J.Edgar Hoover gives some insight to the situation at the time.